Home Choosing A Lawyer Los Angeles Bankruptcy Lawyers Fees: Why the Differences? Los Angeles Bankruptcy Lawyers Fees: Why the Differences? Dear Leon: This may sound like a dumb question, but may I ask why I found a big difference in Los Angeles Bankruptcy Lawyers Fees? I was quoted anywhere from the low side of $1,000 to the high side of $3,800 for a Chapter 7 case. Los Angeles Bankruptcy Lawyers fees vary because there are big differences between lawyers. In our firm the fees are set so that we can deliver high quality legal service to YOU. That means we will not be as cheap as a lawyer that gives you terrible service. However, we keep our fees reasonable. If our fees were not affordable, we would not be in business since 1989. Los Angeles Bankruptcy Lawyers Fees — How to Understand Them. Lawyers with the lowest Los Angeles Bankruptcy Lawyers fees may provide little or no real help to their clients. In fact, the client might never even meet the lawyer. 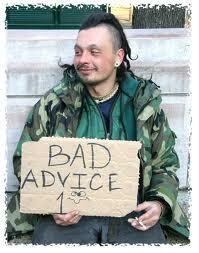 It’s typical for the client to have no real consultions or advice from a lawyer. You can very easily prove this for yourself. Please go to AllExperts.com and look at the questions I get on that free bankruptcy law advice site. I have personally answered more than 1,000 questions for that site. I do not get paid for doing that. Please, take the time to read some of those questions and answers. Many people write me because their own lawyers won’t do their job. I wonder how many of these well meaning clients hired the cheapest bankruptcy lawyer they could find? Do a Google search of the lawyer’s name. See what pops up. As an experiment, try this with my firm, Bayer, Wishman & Leotta. Is the lawyer is a recognized expert in Los Angeles Bankruptcy? Does the news media seek out the opinions of this lawyer? Check a lawyer’s record on an objective website like Avvo.com. Ask how long the lawyer has been practicing bankruptcy law. Does the lawyer handle other types of cases? 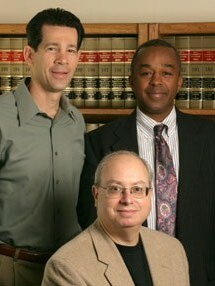 In a large urban area like Los Angeles, quality bankruptcy lawyers can devote their entire practice to bankruptcy law. You may be best served by a Certified Specialist in bankruptcy. The Certification process in California is handled by The California State Bar. Ask the lawyer if he or she is a Certified Specialist. If not, the lawyer’s claims of “expertise” should be given little weight. Like what you read? You’re sure to like the “ASK LEON” question and answer column. You will find it on the Nolo Publications bankruptcy blog web site. We are also found on Google+. This blog is a publication of the Los Angeles Bankruptcy Law firm of Bayer, Wishman & Leotta. You can also learn quite a lot about Los Angeles Bankruptcy by reading our Human Guide to Bankruptcy. Bayer Wishman & Leotta has the capability to handle emergency Los Angeles bakruptcy cases. Bayer Wishman & Leotta provides free consultations. Los Angeles BankruptcyExperts with 34 years experience. Los Angeles Bankruptcy Specialists who offer free advice. File Bankruptcy? Take National Bankruptcy Test to Find Out. Bad bankruptcy lawyer. Does your lawyer return calls? We do.